Book Banning in… New Jersey? It turns out that some people decided to celebrate the end of Banned Books Week at the beginning of this month by… well, trying to remove books from schools. We saw some two cases in New Jersey that demonstrated, once again, that some parents and administrators think the way to deal with literature that some find offensive is to get it out of the schools as fast as possible. At Rumson-Fair Haven Regional (RFH) High School, one parent started a petition against two works being used in the English curriculum: Ariel Dorfman’s play Death and the Maiden and Bernard MacLaverty’s novel Cal. But it didn't stop there; the petition asked the board to remove “any other material that is not age appropriate." A student started a counter-petition opposing the censorship of books. NCAC and its allies sent the school board a letter, arguing that the books were chosen for their artistic and literary merit, and pointing out that the call for removing all 'inappropriate' materials was completely unworkable. The local Asbury Park Press newspaper editorialized in support of the books' removal, telling readers that it's not censorship if a book is still in the library, and that a "common sense" approach would be to "find suitable alternative texts that won’t offend the sensibilities of parents or students." So just assign books that will offend no one. Simple! As NCAC explained in a letter to the editor, education isn't about avoiding difficult topics, and removing books from classroom instruction sends a very clear–and censorious–message. The controversy came to a head at a crowded Board of Education meeting on October 13, where some of the parents who objected to the books walked things back, saying that they only wanted a policy that would allow alternative assignments. But that's not what their petition said. Stay tuned. Meanwhile, the town of Lumberton was the site of another battle, this time over John Green's highly acclaimed young adult novel Looking for Alaska. One parent discovered that the book was available as optional reading in a middle-school classroom library, and went to the principal to complain. The principal refused to remove the book, but the complaint made its way to the superintendent, who apparently agreed that the book was inappropriate, and ordered it removed from all classroom libraries immediately. But not so fast. That move outraged students, teachers and parents in the town, who spoke out against the ban and argued that, according to district policy, the superintendent had no such authority. Days later, he sent a letter to parents explaining that the book wouldnot be removed after all. But he also said that the district needed to come up with a new system regarding potentially "unsuitable" reading materials. 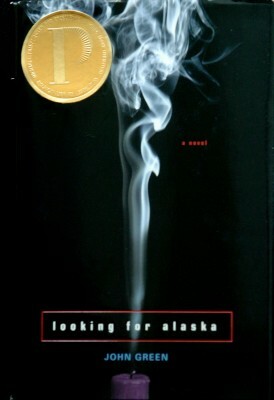 The fact that Looking for Alaska is back on the shelves is a possible sign that opponents of censorship have been successful in raising awareness and creating opposition to book bans in schools. However, the fact that the book was removed at all is a sign that we definitely need to keep spreading the word and fighting the good fight. Because it seems that no book is ever truly safe.